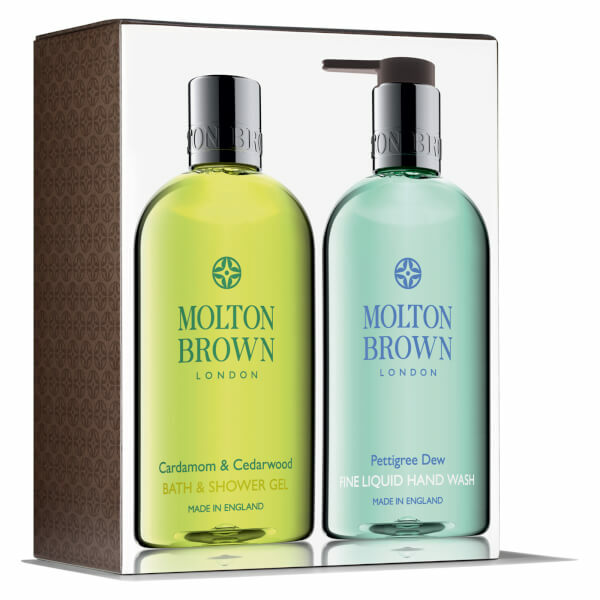 The Molton Brown Cardamom & Cedarwood and Pettigree Dew Hand & Body Set includes two full-size formulas to refresh your skin and senses. 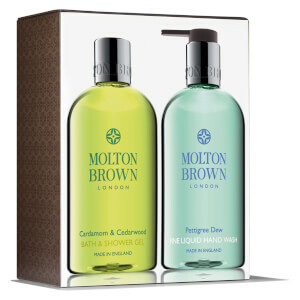 The scented duo make a perfect gift or treat to yourself. Enveloping the body in a captivating fragrance, the invigorating body wash is infused with Cardamom Extract for a revitalising bathing experience. 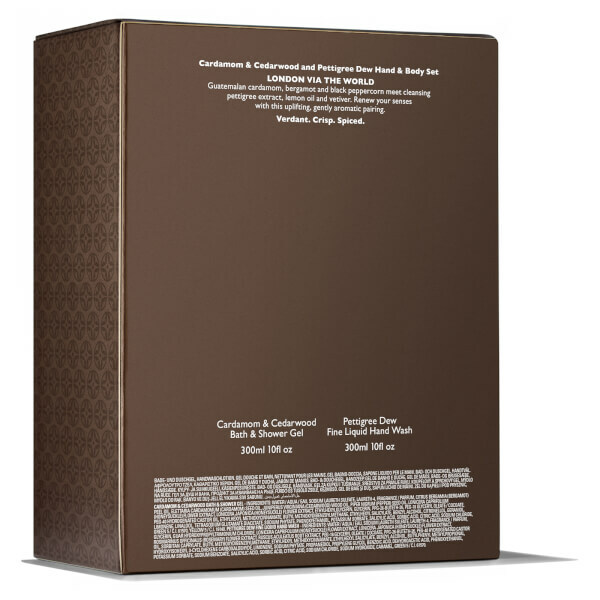 Blended with notes of Bergamot, Black Peppercorn and resinous Cedarwood to rejuvenate the mind and body. Infused with Lily of the Valley, Vetiver and Lemon Oil, the luxurious hand wash gently eliminates impurities without stripping moisture, leaving hands soft, smooth and refreshed. 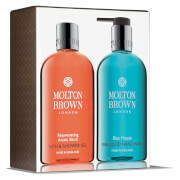 Delivers a calming fragrance to relax the skin and senses.